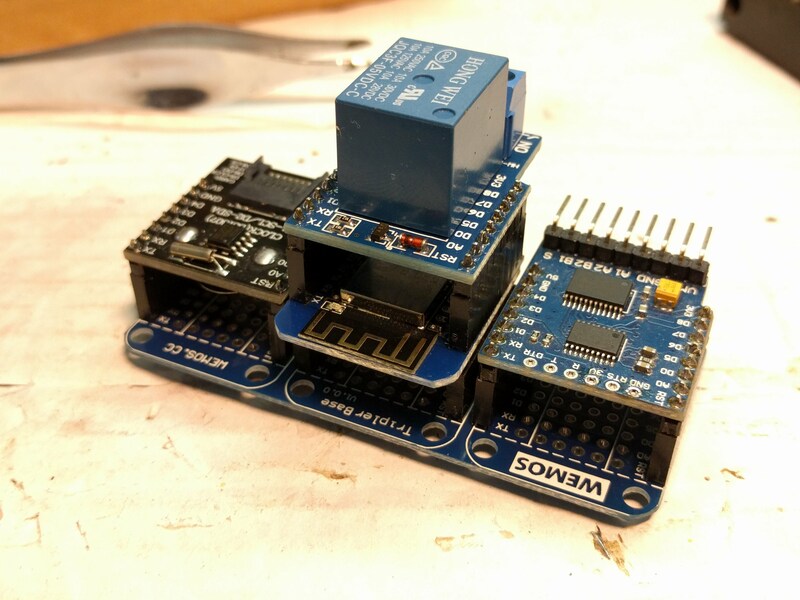 I generally like the idea behind the Wemos D1 Mini system, but I have to admit, that there is a lot of problem with it. This time I was sorting the issue with the Relay shield. Now the Relay shield is a proper one, the only problem is that it occupies pin D1. 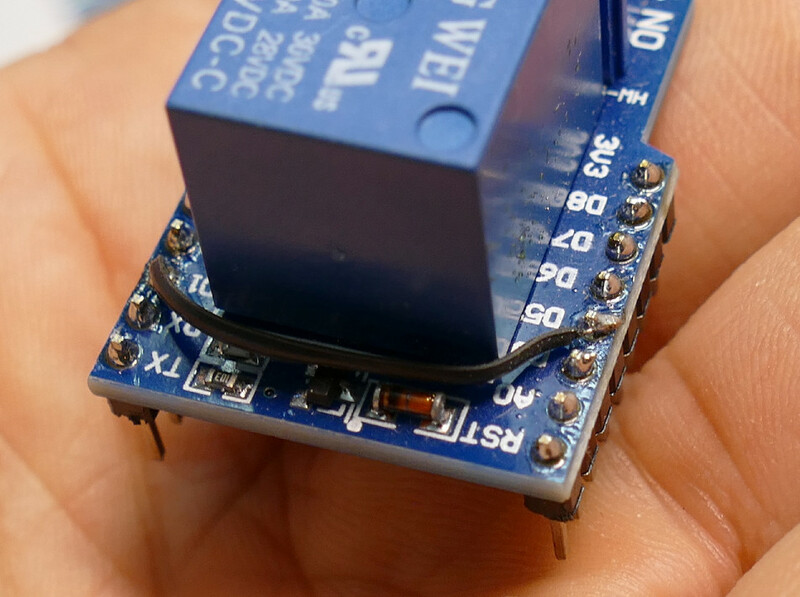 Pin D1 is also the port for the I2C communication (e.g. RTC shield) and has effect on the Serial communication. You are facing with the same problem, if you want to connect more Relay shields. 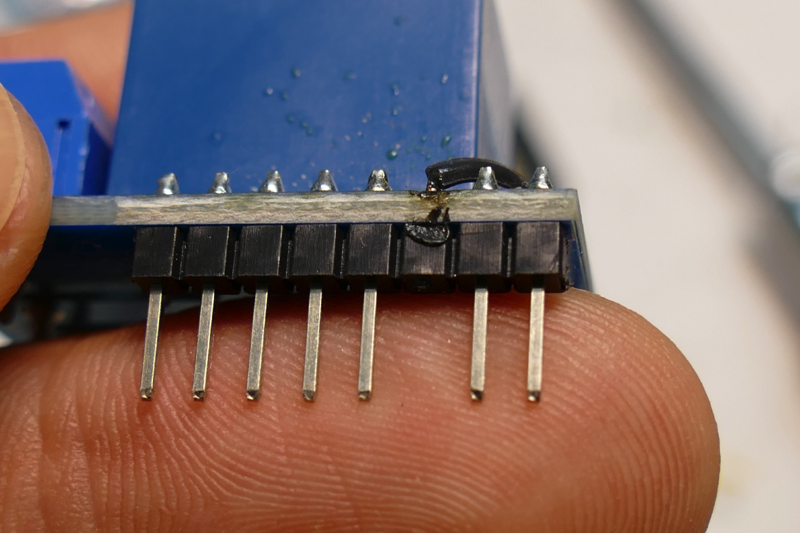 My solution is to remove the leg populated for pin D1 from the Relay shield, and forward the connection for another leg. You can either cut the leg with the side cutters, or desolder it. The plastic will melt, so the pin can be pulled out. After that, you can connect the terminal with another pin of your choice by utilizing some extra wire. The input inside the Relay shield is pulled to ground, so I do not recommend to use D3, D4 pins (however it will likely also work fine).